I'm always on the look out for concealers to hide my hereditary dark circles and blemishes so with our recent exchange rate being so high, I just couldn't pass up this online deal to check this product out myself. 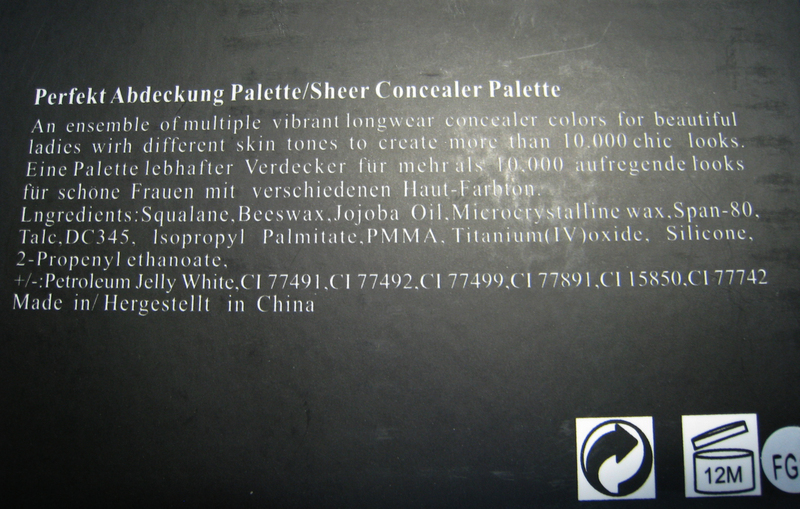 This is just a generic concealer palette I bought on evil-bay (aka eBay). I imagine it is similar to the Coastal Scents palette as the colours from my set and the stock photos on the CS site looks the same, however, as I don't own the CS palette, I can't confirm if they indeed are identical in product. 11 skintone colours ranging from light to dark so there's a shade to suit your colour, if not mix your own combination! too easy. Scentless - just my type of makeup product. Cream to powder product - turns to powder very quickly so need quick hands to blend product into skin. Quite dry in texture so can be slightly hard to blend - it reminds me of the left side of Laura Mercier Under-cover Pot concealer. Best to be applied with a synthetic brush for a even finish. Endless colour combinations so you can go lighter for under eye area while matching perfectly for blemishes in other area of the face. And you can adjust your shades according to your seasonal needs. Remember to set with powder to avoid it sliding off during the day. Staying power was OK enough, lasting about 4 hours and didn't really settle into my fine lines. 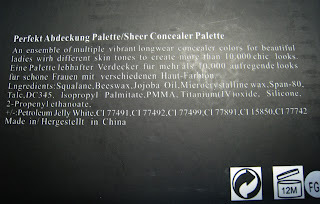 Not as pigmented as high-end products (eg. Laura Mercier or Bobbi brown) but does a decent job and for the price, I'm very pleased with its results. As it does have quite a powdery finish, does accentuate any dry patches on skin so make sure you use a good hydrating cream underneath before applying concealer to smooth the dry patch. This palette is as cheap as chips and arrived in perfect condition in next to no time (7 days from order to arrival, shipped from Hong Kong). For the price I think it is quite high quality and a good palette to have around so you always have the right concealer shade on hand. 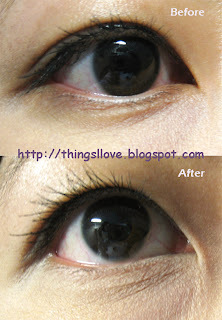 For the eye area, I recommend applying a hydrating eye cream underneath to avoid the powdery look or it settling into fine lines. Rating: 7/10. Great colour selection that meet most concealing needs. RRP US$6.29 shipped worldwide. I bought this item here. Melbournite - Try the Laura Mercier counter. 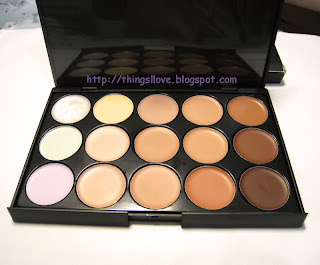 Their secret concealer is very creamy, pigmented and sits on skin quite well. My HG to date is shade #3.